If you’re in the market for your next subcompact car, you’ll want to focus on the car’s performance, fuel economy, and standard and available safety options. Below, our team at MINI of Annapolis have pitted the 2018 MINI Cooper vs VW Beetle to measure which vehicle has the edge. This comparison will let all Annapolis, Highland Beach, and Hillsmere Shores area buyers know all they need about the two subcompact cars. If you’re looking for a feisty subcompact, you can find it in the 2018 MINI Cooper. It features two available performance powertrain options that both incorporate a TwinPower Turbo 2.0 4-cylinder that’s paired with a 6-speed manual transmission. The first available engine comes in the Cooper S trim level and offers 189 horsepower and 207 lb-ft of torque. 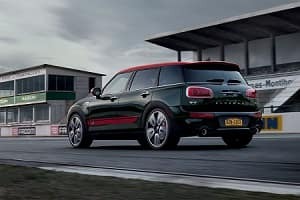 The other option is featured in the John Cooper Works special edition trim and generates a boosted 228 horsepower and 236 lb-ft of torque. The VW Beetle on the other hand only features one engine option among all five trim levels and it only provides 174 horsepower and 184 lb-ft of torque. Fuel efficiency is incredibly important when it comes to subcompact cars because that is the exact reason most drivers buy them. The standard powertrain of the 2018 MINI Cooper will earn you an impressive EPA-estimated 28 MPG city and 38 MPG highway. The great fuel efficiency of the MINI Cooper will help to reduce your gas spending, while the VW Beetle will only increase your gas bill comparatively. With subcompact cars being as small as they are, you want to make sure your subcompact choice has an array of standard and available safety features to help give you peace of mind on the road. 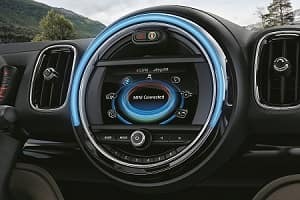 While both cars come equipped with a standard rear view camera, the 2018 MINI Cooper offers some intelligent safety features that the 2018 VW Beetle does not. It features standard rear-parking sensors that detect and alert you when another vehicle or person is in your rear that may not have been visible otherwise when you’re parking. It also offers an available Auto Park Assist feature that takes over the steering wheel to park your car for you to provide ultimate convenience. The VW Beetle doesn’t come standard with any parking sensors, nor does it offer any parking assist features. The 2018 MINI Cooper blends some powerful and fuel-efficient powertrains with some advanced standard and available safety features to make it a subcompact car option that you should consider. At MINI of Annapolis, we are always here to help all Annapolis, Highland Beach, and Hillsmere Shores area drivers purchase the car they’ve always wanted. 1 26 city/33 highway mpg (2018 Beetle S 2.0L, 6-speed automatic transmission). EPA estimates. Your mileage will vary and depends on several factors, including your driving habits and vehicle condition.